Jack Ma announces retirement to devote to charity. September. 10, 2018 08:14. by Wan-Jun Yun zeitung@donga.com. 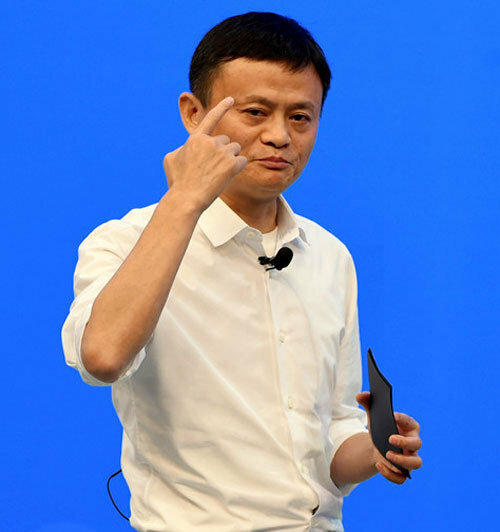 Alibaba Group Co-founder and Chairman Jack Ma has announced to shift focus away from Alibaba to philanthropist activity just as Microsoft Co-founder Bill Gates has done. It has been reported that Ma is soon to leave a management position on the forefront to join educational charity after releasing his plan on leadership transition to young talents on his 54th birthday, which falls on Monday. The South China Morning Post, a Hongkong-based newspaper, reported Sunday that Mr. Ma will publish his plan to help his younger successors learn how to manage China’s largest e-commerce business, further explaining that his succession plan is part of his longer-term efforts to nurture younger generations over the next decade. The article added that while remaining the executive chairman of Alibaba Group for some time, he will later announce an execution roadmap. Alibaba Group is one of the South China Morning Post’s shareholders. A few days before the news was covered, The New York Times reported on Friday that Jack Ma said in an interview that he will resign the position of executive chairman on Monday as he plans to put sole focus on educational charity. Jack Ma told The New York Times that retirement does not herald the end of an era, but rather a beginning, adding that he aspired to spend more of his wealth and time on educational activities. He also said in a Bloomberg TV interview that he learned a lot from Bill Gates, hoping to retire at an early age. He went on to say that he will return to his previous occupation, teaching, believing that he could do greater good to society as a teacher than as an Alibaba executive. Sept.10, on which Mr. Ma’s announcement is scheduled, also marks Teachers’ Day in China. The teacher-turned-CEO uses a nickname meaning “spokesperson of teachers in the neighborhoods.” His colleagues call him ‘Teacher Ma.’ Since the previous Alibaba CEO transferred leadership to Daniel Zhang in 2013, later establishing the Jack Ma Foundation in 2014, he has engaged in philanthropist programs to improve educational environments in China’s rural areas. According to reports, Jack Ma possesses more than 40 billion U.S. dollars, or 45 trillion won.